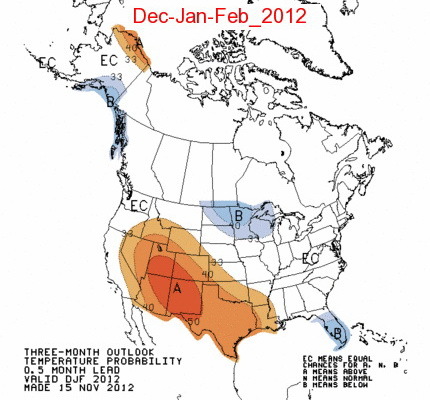 This review compares last year's NOAA Climate Prediction Center (CPC) 90-day precipitation and temperature forecasts for the winter period of December-February (DJF) 2012-2013 and the summer period of June-August 2013 with the observed temperature and precipitation anomalies for the same periods. The 90-day outlooks were retreived from the NOAA Climate Prediction Center (CPC) archives and the corresponding observed temperature and precipitation data were downloaded from the Climate Diagnostics Center (CDC). 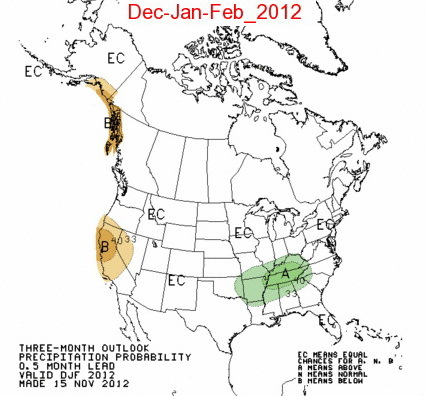 Winter: The CPC precipitation forecast for DJF 2012-13 did a relatively good job of capturing dry conditons in northern and central California but missed its extent into southern California and the Pacific Northwest. 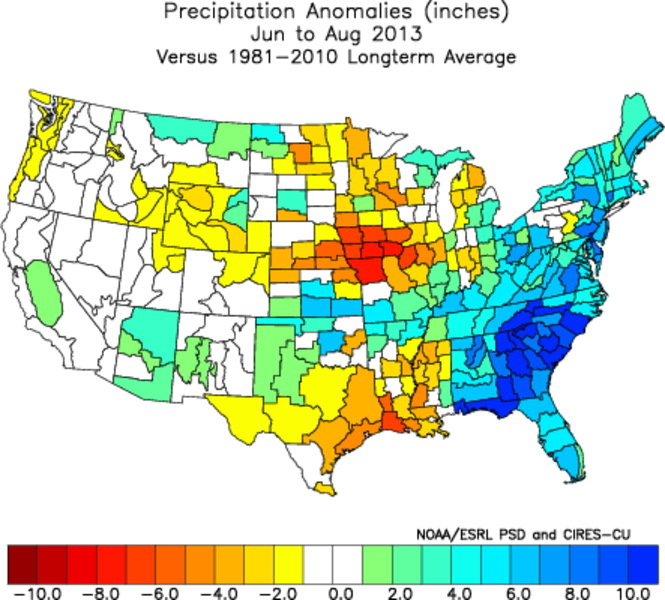 Likewise the forecast captured the above normal precipitation westward from Arkansas through Tennessee, Kentucky and the northern areas of Mississippi and Alabama, but missed the very wet conditions over Louisiana and the slightly above normal precipitation in the upper Midwest and Great Lakes. 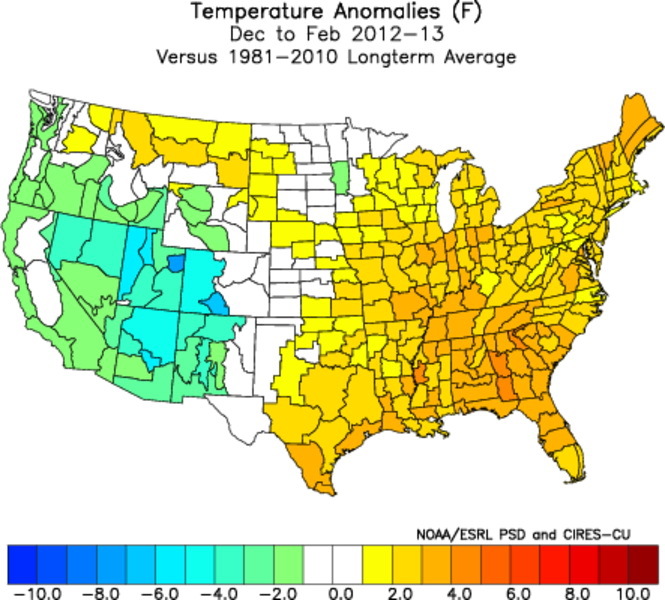 Wintertime temperature forecast across the nation were totally out of phase with entrie eastern half of the nation being warmer than normal despite a normal or below forecast. 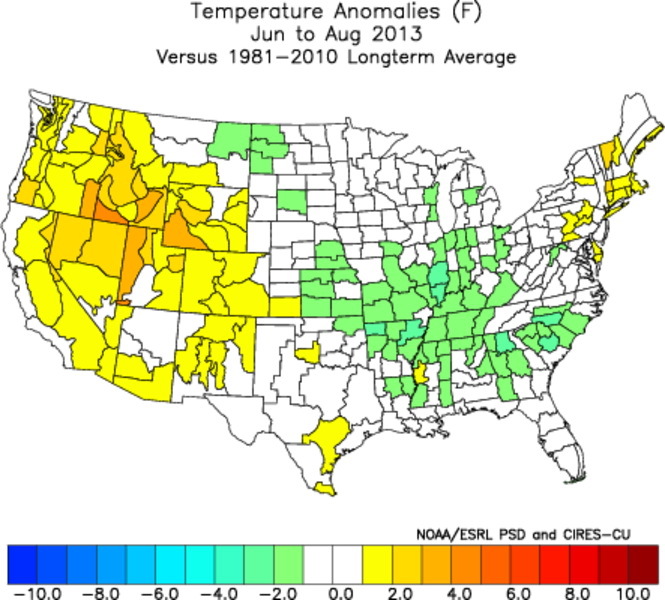 Likewise the above normal forecast from Texas northwestward across the Southwest, Great Basin and Rockies was out of phase with the below normal temperatures that occurred. 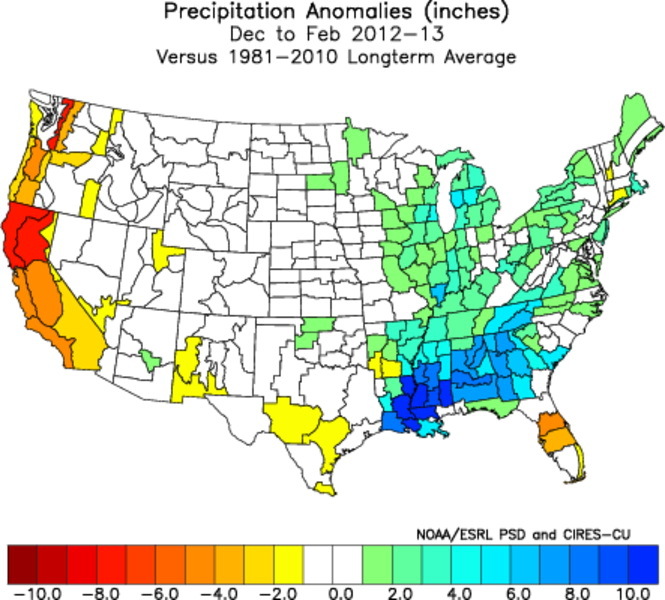 Summer: The CPC summertime precipitation forecasts were for EC (Equal Chances of below, normal or above normal) over most of the country except below normal in the Pacific Northwest and over the panhandles of Texas and Oklahoma. This missed the very wet conditions observed from Alabama, Georgia and Florida northwest through Ohio and Pennsylvania, the entire Atlanti and New England. 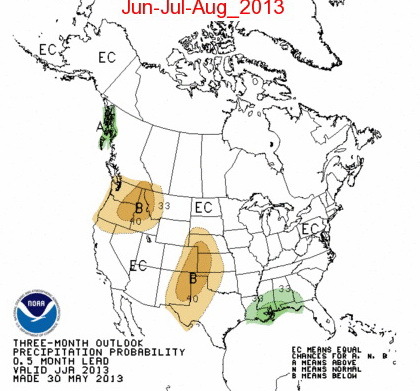 The forecast also missed very dry conditons in the Midwest. The above normal forecast temperatures for most of the nation only verified over the western half of the country but missed across most of the east. 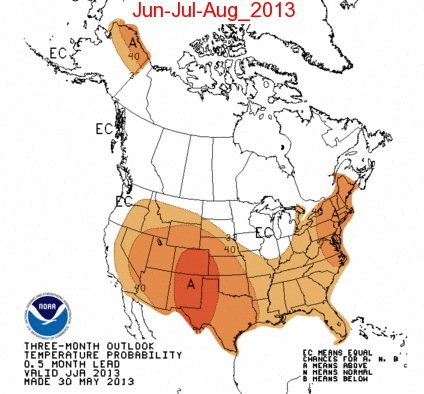 Also see the review of the Farmer's Almanac 2013 seasonal forecasts.